Very virulent infectious bursal disease virus (vvIBDV), the cause of significant economic losses in many poultry-producing areas, has been present in Morocco since 1991. In spite of the introduction of vaccination, disease outbreaks are frequently observed. 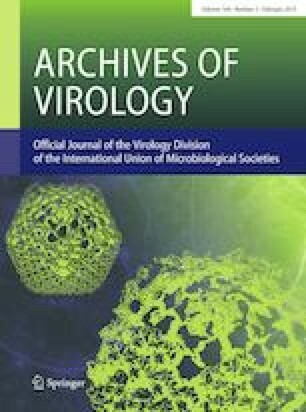 To ascertain if vaccines failure may be due to the emergence of new strains, the aim of this study was to perform for the first time the molecular characterization of vvIBDV strains circulating in Morocco by focusing on the hypervariable region (HVR) of the VP2 protein, which is frequently used for molecular epidemiology and phylogenetic studies. Field samples of haemorrhagic bursae of Fabricius were collected for molecular characterization in different parts of the country during 2016-2017 from 48 chicken flocks showing symptoms of disease. In a phylogenetic tree, nucleotide sequences containing the VP2 HVR of 13 samples that were positive for vvIBDV formed a common branch with those of vvIBDV references strains published in GenBank, but they clearly grouped into a distinct subcluster. An alignment of the deduced amino acid sequences, in addition to confirming the presence of the “signature” typical of the vvIBDV HVR, also revealed the presence of substitutions in hydrophilic loops that are known to be involved in the elicitation of neutralizing antibodies. One of these substitutions is unique to the Moroccan isolates. These results represent the first molecular characterization of vvIBDV isolates in Morocco and may indicate that one of the causes of vaccine ineffectiveness is antigenic drift. This work was funded by AVIAMED project through the ARIMNet2 2015 Call by the following funding agencies: Ministry of Higher Education, Scientific Research and Professional Training of Morocco (MESRSFC) and Italian Ministry of Agricultural, Food and Forestry Policies (MIPAAF). ARIMNet2 (ERA-NET) has received funding from the European Union’s Seventh Framework Programme for research, technological development and demonstration under grant agreement no. 618127.